Left: Using holistic grazing principles on Moffitts Farm pastures cover and livestock feed availability was maintained during the 2008/09 dry and hot summer. Right: Another paddock in the district where set stocking was maintained. Both photos taken February 2009. One of the reasons why holistic management and organic livestock farming have become more popular over the last decade is that the science they are based on is more closely aligned to the production, environmental and lifestyles aspirations of the farmers involved. On Moffitts Farm holistic grazing management was introduced in 2000. It followed a six year period trialing high fertiliser input and high pasture utilization management under the Triple P program. These two approaches are at the opposite extremes for grazing management. But in practice they have some complimentary components which one-eyed advocates for each often misunderstand or ignore. In contemporary agricultural science based information, livestock owners are encouraged to graze pasture in phase two of the ‘S’ curve (where new leaf growth is maximized) and try and prevent grasses reaching phase three where leaves die and are said to be ‘wasted’ (or in spring the plants send up flowers). Standard advice is ’never let pastures grow to more than 2000 kg green dry matter per hectare’. The Meat & Livestock Australia pasture ruler highlights this contention. This is achieved by maintaining a stocking rate (sufficient number of sheep or cattle per hectare) that ensure pastures are eaten on a regular basis to prevent anymore than this amount of green dry matter being present in a paddock. 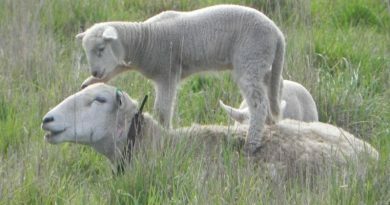 In 2014 the Sheep CRC released three guides for management of profitable sheep businesses in different Australian rainfall zones. They all based pasture management around “eat it or loose it” with no reference anywhere in the manuals about the importance of agroecology and ecosystem services. In late spring when pasture growth (usually) exceeds the ability of the stocking rate to keep it below 2000 kg dry matter per hectare, paddocks with excess pasture are cut for hay or silage which is fed back to the animals when paddock feed is insufficient to maintain their liveweight. This is supplementary feeding and is usually undertaken once or twice a week from about late January through to two months after the autumn break. 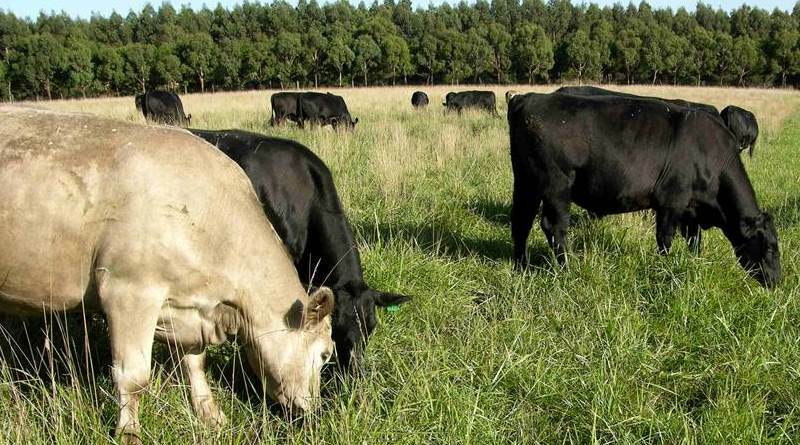 If the autumn break is exceptionally late as is becoming more common across southern Australia, supplementary feeding may continue until early spring, that is, for up to eight months. A more desirable approach is to avoid having to make or even buy supplementary feed in the first place. This is done through a combination of pasture and grazing strategies which encourages mainly perennial plants to produce bulk and density that allows livestock to grow and maintain themselves throughout the year. The technique employed is based around allowing pastures to regrow a bulk of feed after each grazing. Grazing intervals of 60 to 120 days are used depending on rainfall and temperature. 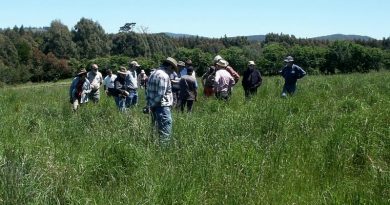 As well, grazing pressure is sufficient enough to ensure the desired quantity of pasture is eaten within a few days, on Moffitts its 7 -14 days, but some holistic managers might only graze a paddock for one or two days before moving the livestock. Whatever the number the rest after grazing is the key, especially in dryer regions. Livestock only return when a safe bank of pasture is available. Alternatively the farmer can destock sections (or possibly all) of the farm before paddock feed runs out and wait until seasonal conditions return to normal. Despite the record dry period between 1997 and 2010 Moffitts farm was never destocked, water availability was a concern in 2009, but pasture was always available for the stock kept on the property. All livestock have as much pasture as they can eat every day of the year. The animals are always content in their paddocks. Quality varies depending on seasons and species available so livestock performance varies between high weight gain to maintenance only. There is no requirement to make or buy fodder supplements to maintain livestock weight. There is usually no need for routine drenching because internal parasites are no longer threatening the health of livestock. Livestock learn to move from paddock to paddock or to yards. There is no need for a tractor or other equipment to feed out hay or silage. Cost of fuel and machinery maintenance declines significantly. There is no soil compaction from driving over paddocks for fodder conservation and feeding out. There is no bare ground for annual weeds to proliferate in, weeds become a minor inconvenience. There is 100% ground cover to protect the soil food web which ensures healthy and plentiful soil fauna life which in turn encourages large animal food web such as echidnas, skinks, lizards, and birds; farm biodiversity improves. There is less need for artificial fertiliser application as increasing quantities of soil microorganisms release pasture growth limiting elements such as phosphorus from their ‘plant unavailable’ state. There is virtually no soil erosion and loss of soil nutrients. There is high soil water holding capacity so that virtually all rain the falls is held on the property for plant growth and to feed springs. There is very little loss to groundwater table. 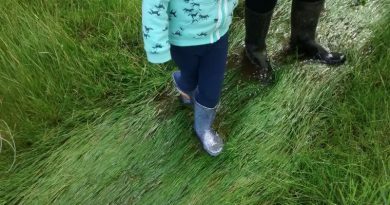 The farm heads towards a net carbon sink, rather than a carbon emitter. What is interesting about these outcomes is that they are all happening within the pasture in every paddock, in other words it is grazing in harmony with natural cycles rather than in conflict with them. Even more benefits are obtained for the livestock and environment with revegetation around and within paddocks and along riparian areas (watercourses).